On his Fox show on August 4th, 2010, Glenn Beck started by claiming that there was $421 billion left in the stimulus package. 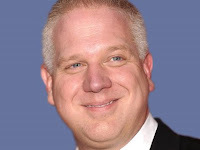 On his Fox show five days later, August 9th, Beck began by defining "the truth;" as "conformity with fact or reality." Even by Beck's vastly over simplified understanding of truth, it's clear that on the 4th Beck was not being truthful. As of July 30th, 2010, there was, according to Recovery.gov, about $292 billion left in the stimulus package; and $65 billion of that is the middle class tax cut that has not yet been used. Beck's "truth" was "only" off by $129 billion. Whether Beck purposely told a lie or he conveyed information that he did not accurately know can be debated. Only Beck knows why he got the amount wrong, and Beck virtually never admits to being wrong. When is the last time he began his show by making a correction on any of the large numbers of factual errors that he's made? For more on those, click on the "Contents" link above and scroll down to the category Beck's false claims. The information comes from PolitFact.com, Media Matters for America and independent research. Anyone who can disprove any of those dozens of false claims is invited to do so and make a comment to that effect. This is not the first time Beck has laid claim to telling the truth; it's part of his masterful deception. What is truly amazing is how his supporters can avoid seeing the glaring inaccuracies and sometimes blatant lies conveyed by this charlatan. The exemplary rationalizations made by those following the pied piper as he steps out of a limousine and walks to the precipice of illusion, while claiming to be a man of the people, are evident in many of the comments made throughout this blog.